This is a funny game I just saw on a Lion King forum. What you do is say something untrue, however silly, about the person above you. Don't do anything offensive; just keep it fun and silly. The member above me hates Littlefoot with a burning passion. The member above me dreams of being a Walmart greeter. The member above never wants to return to New Mexico ever again. The member above me is a mad scientist plotting to take over the world. The member above me sleeps standing up. The member above me loves when game threads die, and would never dare to try and bump one. This memeber joined everyone in playing my forum quest game every day and like it! The member above me steals the hoods off of people’s cars. The member above me studies meteorology so that he can diabolically control the weather and take over the world. The member above me has Topsy as his all-time favorite character. The member above me thinks music is an utter waste of time. The member above me does not post enough in this thread. The member above me thinks piracy should be a major felony punishable by life in prison. I guess, member above me says LBT is for kids, always talks how bad sequels are and at the same time, tells how they are great, and admits that Good Dinosaur is better than this ugly ripoff of Bambi. 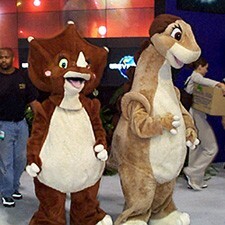 TPAM asks his kids with restrained contempt why they put LBT pics into presentations for their geology classes in college, relentlessly tries to convince them that they didn't grow up with LBT, and tells everyone how much he wishes that the Gang had been slowly tortured to death by Sharptooth and how he thinks Grandma Longneck's Lullaby is a lousy ripoff of Circle of Life. So you're totally not lier this time! And the liar can spell like one. HUH. TPAM has been around this forum for over a year.